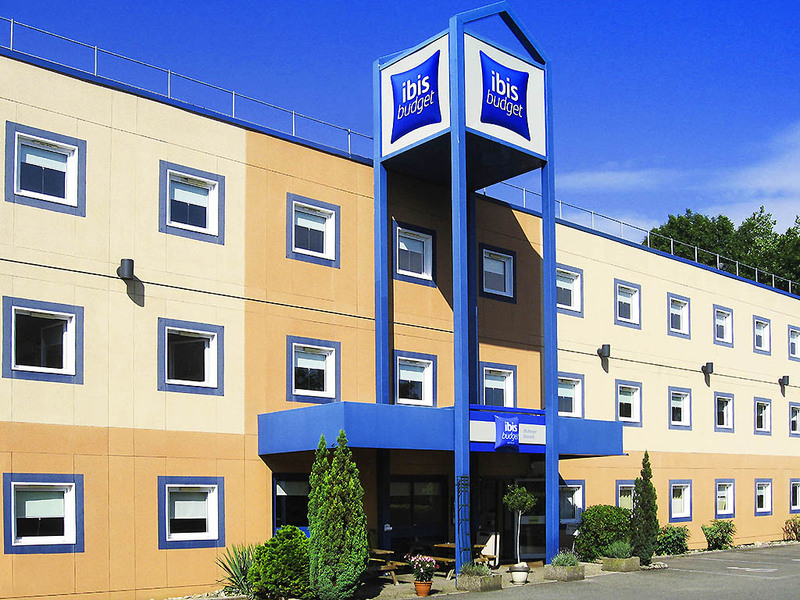 The ibis budget Mulhouse-Dornach (formerly Etap Hotel) is the smart choice for accommodation in a modern and inviting room. The rooms are designed for 1, 2 or 3 people and are equipped with a double bed with duvet plus an overhead bunk bed, shower, toilet and satellite TV, all for a very affordable price. Rooms with 2 beds for 1 person are also available. Free WIFI in all rooms. Peaceful and comfortable, the hotel is just 1.2 miles (2 km) from the A36. staff at info was having a conversation via telephone for 15min, whether we could mot access the room. thus this was annoying and not acceptable. I booked express check in and received late in check in. I have not had such bad experiences so far in any Accor hotel. Staff unpleasant and not friendly to the customer. The self-service system does not provide for different options. This forces the client to use the help of the staff, which is an unpleasant experience. Because the staff had to print a confirmation of my stay for the punishment I got a room in the worst place, on the top floor (which was in this case embarrassing for me) and dirty. Breakfast avirulent, water for tea undercooked, sour coffee. Excellent choice of inexpensive hotel if needing a stop near to the main autoroute. Situated in a commercial part of Mulhouse making it quiet and easy to find. This was our second stay and we will be back again. Checking in and checking out was easy and without hassle. Unluckily the hotel it's really old. You can see it from the worn floor up to the style of the WC. If you just want to sleep, then go for it but if you want to live the same experience of the other hotels of the same chain then go somewhere else. We often stay here. The managers are very friendly and helpful, the rooms are simple but clean, the breakfast is very good and the price is very reasonable. We stay at this hotel several times every year. Not only because of its good location for us, but also because it is very reasonably priced, the managers are very friendly and forthcoming, the breakfast is great, the rooms are clean and the area is very quiet. From earlier visits I knew this hotel the plus and the minus. Huge minus -- is the Shower /Toilet situation. As the hotelroom is quiet clean and has the official Ibis Budget Standard , the Shower/Bathroom Toilet is really a not you can accept. Everything else is okay. We stayed for three nights. The hotel is clean, plenty of parking space, good breakfast. Only drawback we had was that our room was over the entrance, where there is a smoking corner. Online check-in easy, clean room, comfortable bed and manager was friendly. It is a convenient stop over while travelling towards final destination. Only shortcoming is very uncomfortable bed & luck of pillows .On the whole is comfortable & easy to book. Been using it for many years. Arrived at 14:00 but abstained from using the automatic check-in. Visited la Cité du Train and checked-in in person at 18:00. Very friendly host who immediately found my name. Fine room in third floor to the West, well sound proofed. Looked at the TV - which might have been one size larger - and had a good sleep. Very fine breakfast in my opinion, lots of macedoine fruit, and the efficient manager present clering tables immediately. This experience will make me use Ibis budget again when possible. Easy place to reach (except for major road works on the motorway). I have been here many times and it is still quite good. My main complaints are that the towels keep getting of worse quality and smaller. One soap for two people does not seem enough and they should give a choice of which floor to stay when booking as they do not have a lift. The room was clean and the reception was friendly. Ideally situated for Auto and Train-city. Room was rather cramped but the hotel is ideally situated for the purpose of our visit to Mulhouse, to visit the Auto and Train City. Very pleasant! Quiet! Well managed! Nice breakfast! The stay was fine. Friendly service, clean, good breakfast. Only slight problem was noise from some other guests late at night.